As part of our two-year project around Visible Thinking, we are delighted to announce a parent & community presentation on the Strength Switch from Professor Lea Waters. 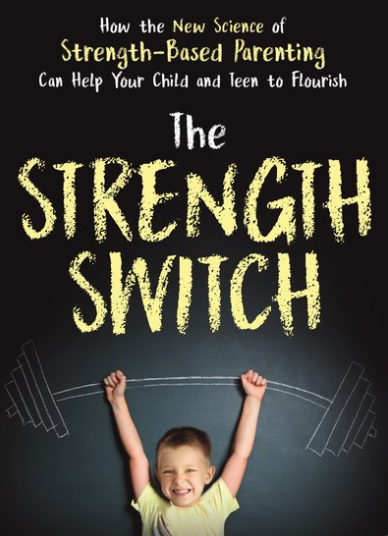 The Strength Switch combines the research of Professor Waters on strength-based parenting and teaching with three decades of research from strength-based science and positive psychology. In this talk, Professor Waters will show the positive benefits of flicking our strength switch and building on children’s strengths before we correct their weaknesses. She will showcase her science and point the audience to useful tools and practices. The Strength Switch is an approach suitable for parents, teachers, school counsellors and mental health practitioners working with young people and families. This event will be opened up to the wider Discovery Bay community in one week’s time, however, priority is being given to DC parents so be quick to secure your seat by registering HERE. Cost: HK$100 per person and will be collected at the door prior to the beginning of the presentation. Professor Lea Waters book The Strength Switch will be available for purchase at this event for the price of HK$195. Any questions, please contact Tracey Chitty at tracey.chitty@dc.edu.hk.